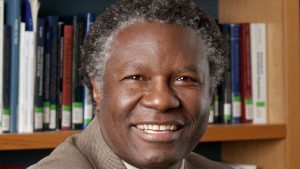 Kenyan-born Harvard Kennedy School professor Calestous Juma died on Friday, December 15, 2017 at the age of 64. He was a member of the advisory board of the Center for Corporate Responsibility and Sustainability (CCRS) at the University of Zurich and gave his last talk at CCRS on February 19, 2015 on the role of innovation for sustainable development (available online: http://www.ccrs.uzh.ch/de/aktuelles/lecture-juma.html). His work greatly contributed to the renewed focus of the UN Sustainable Development Goals (SDGs) on mobilizing science and technology for sustainable development. 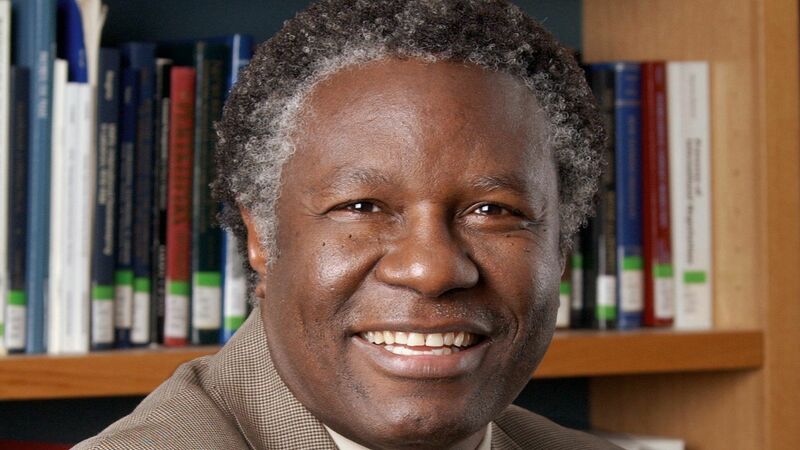 In 1995, Calestous Juma became the first executive secretary of the United Nations Convention on Biological Diversity (CBD) – based on his merits as an environmental activist and scholar of sustainable development. He left the organisation in 1998 since it became increasingly clear to him that many donor countries, especially in Europe, were not interested in respecting Article 19 of the Convention (urging Parties to promote priority access to the benefits arising from biotechnologies, especially for developing countries). Instead they were using the Convention (and its Cartagena Protocol on Biosafety) to actually prevent the adoption of agricultural biotechnology in developing countries. He then joined Harvard University in 1999 and became Professor of the Practice of Sustainable Development at the Belfer Center for Science and International Affairs in 2002. During his time at Harvard he built up a research and teaching program on science, technology and innovation for development, addressing core issues related to intellectual property rights, entrepreneurship and innovation for development, biodiplomacy, agricultural innovation systems, and evolutionary technological change. His work was strongly inspired by the leading interdisciplinary scholars of the 20th century such as Joseph Schumpeter and Jane Jacobs but also by his own field experience in Kenya where he founded and directed the African Centre for Technology Studies (ACTS) prior to his appointment at CBD. Professor Juma was an academic who felt the moral responsibility to not just care about personal achievements in his own field of research or academic discipline but to inform leaders in international organisations, government, business and civil society with research insights that are policy relevant. In this context, he advised the African Union and many African governments on the launch of Africa-owned initiatives to promote home-grown economic development through farsighted trade, agricultural, educational, environmental, technology and IPR policies. His contribution to African development has been expressed in ‘twitter’ obituaries written by heads of states such as Kenya’s president Uhuru Kenyatta and Rwanda’s president Paul Kagame. Alas, Europe hardly took notice of this extraordinary interdisciplinary and practice-oriented scholar who greatly contributed to a better, more sustainable and more humane world. Why? Because interdisciplinary research in the social sciences has become a dead end for an academic career at European universities (quite the opposite trend can be observed in the natural sciences). Moreover, policy makers in Europe resented his view that sustainability is something context-specific and dynamic rather than a static overlap of its three dimensions (economic, social and environmental) that applies everywhere in the same way, independent of the history, culture and stage of development of a particular country. Furthermore, Europeans are taught in schools as well as universities that the economic dimension poses a threat to the environmental and social dimension and therefore needs to be tamed and regulated. Calestous Juma always considered it to be a mistake to treat economic and technological change merely as a risk because, in view of population growth and increasing affluence, we need more, not less scalable innovation to cope with the growing challenges on this planet. In this context, he warned many African governments to uncritically adopt regulation from affluent Europe because it would stifle rather than enable the desperately needed economic transformation of the continent. I spent two years as a Post-doctoral fellow in Juma’s science, technology and innovation programme at Harvard’s Center for International Development (2000-2002). These years were very inspiring and it forced me to critically re-evaluate my own views of global sustainability. Back in Europe, I was able to pass on and further elaborate on his ideas in my teaching and research at ETH Zurich, the University of Basel and the University of Zurich. I also co-founded the NGO ‘African Technology Development Forum’ (www.atdforum.org) in 2004 with two African scholars (Victor Konde and Constantine Bartel) who worked for the United Nations and also believed that Juma’s ideas should be more widely spread in Europe. Juma kindly agreed to serve as member of the board of trustees. We run a widely read quarterly journal (ATDF Journal) and launched an E-mentoring Platform to connect African Entrepreneurs with relevant Mentors. After a break in 2012, we relaunched the journal in 2017 with a special issue on ‘Principled Embeddedness’ exploring under which circumstances foreign direct investment in developing countries may contribute to sustainable development through local economic empowerment (http://atdforum.org/1967-2/).